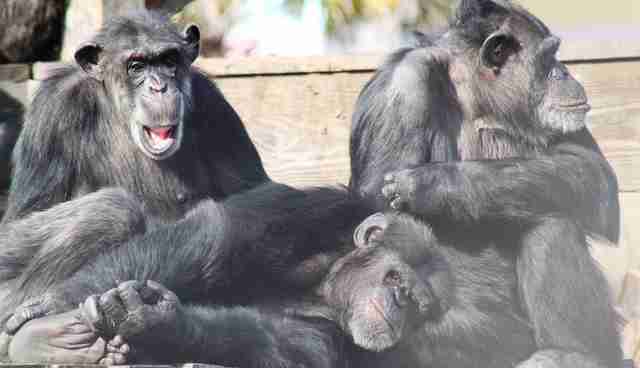 Like so many chimps used in laboratories, Henrietta has a past that is shrouded in mystery. But that she's an incredibly loving being is clear as day. 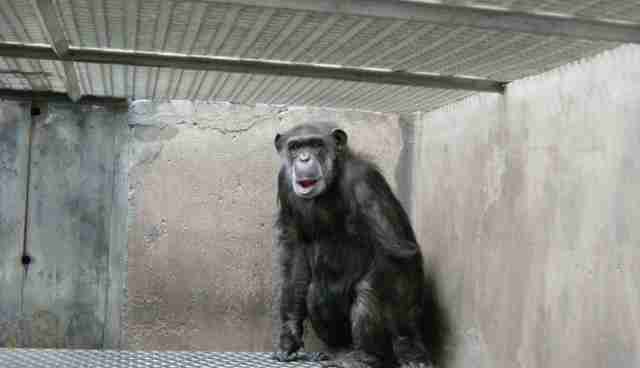 Henrietta is 48 years old and was living her younger years somewhere in Africa before being captured and sold for breeding and use in biomedical testing. 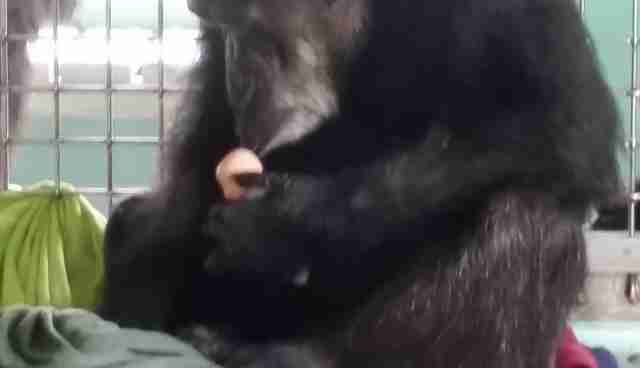 While many of the chimps at the lab were kept completely alone in their cages, Henrietta was lucky to share her cage with one other chimp, her friend Tami, which helped them both weather their hard lives. 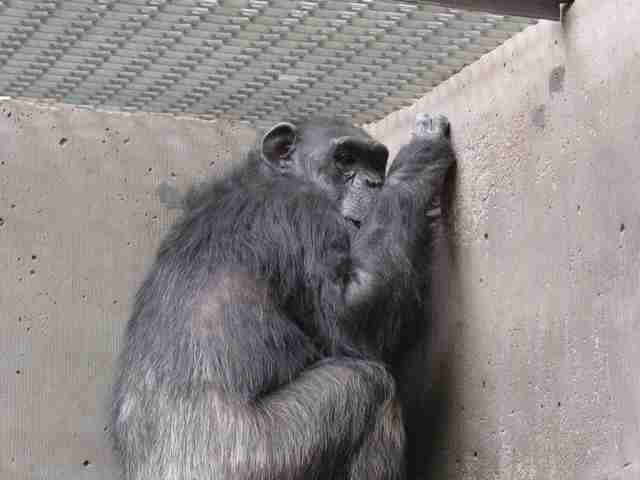 Henrietta's life in labs started back in 1985 and it would be 17 years in cages before her life would change. Finally, in 2002, Henrietta was rescued by Save the Chimps, an organization that helps give former lab chimps the lives they deserve. Despite her time spent behind bars, Henrietta still has a reservoir of love she needs to show. And she has found a way to show it. Henrietta has taken a liking to a baby doll that she dotes on endlessly. She cradles the doll and fawns over it, as if it were her own child. 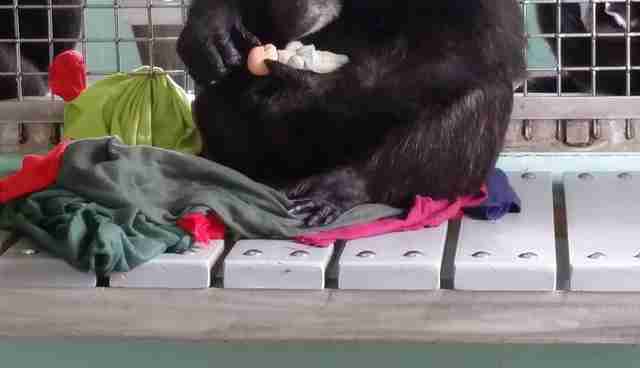 "Henrietta's love for her human-like baby doll came as a bit of a surprise to us, because Henrietta has never had children of her own," said Save the Chimps. Henrietta's attention to her new "baby" shows that she has motherly skills and feelings, according to Save the Chimps. "She grooms and kisses it, and even appears to try to nurse it," the organization said. And because the doll doesn't hang onto Henrietta like a chimp baby would, she tucks the doll between her thigh and belly so that she can carry it with her wherever she goes. 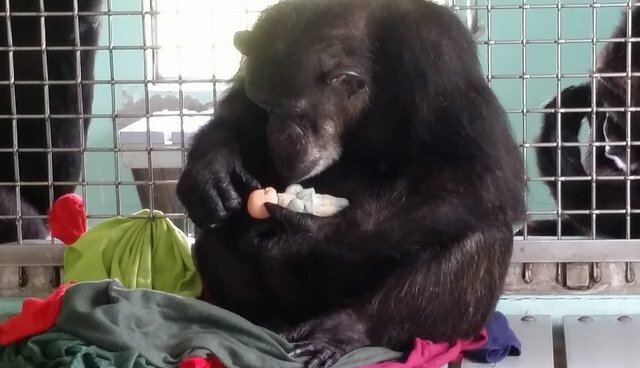 Henrietta may have never had a family of her own, but between her baby doll and her friends at Save the Chimps, Henrietta's life is finally full of love. 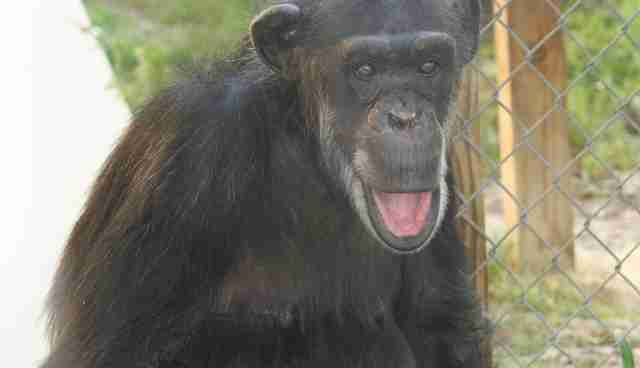 It costs Save the Chimps $16,000 per year to care for chimps like Henrietta. Help support her and her adopted family here.